Through the generosity of the Cockrell Foundation, The Houston Museum of Natural Science is proud to offer the Evelyn Frensley Scholarship for Outstanding Achievement in Science or Mathematics. The deadline for the 2015 Teacher Award has been extended until Friday, September 18, 2015. In recognition of the fine educators of Houston, we also offer the Wilhelmina C. Robertson Excellence in Science or Mathematics Teaching Award. This award of $2,000 will go to one K-5th grade science or math teacher, and one 6th-12th grade science or math teacher who demonstrates significant ability and dedication to teaching in either discipline in Harris County. You may nominate an outstanding teacher by filling out the 2015 Teaching Award Form. The deadline for all submissions is September 18, 2015. Houston Museum of Natural Science President Joel Bartsch appears with attendees of last year’s Wilhelmina C. Robertson Excellence in Science or Mathematics Teaching Award Luncheon and the 2014 winners. Nominations are still open for this year’s award. Pictured from left to right are Rebecca Grekin, Rachel Shenoi, winners Erin Meyers and Nancy Brock, and Dr. Bonnie J. Dunbar. 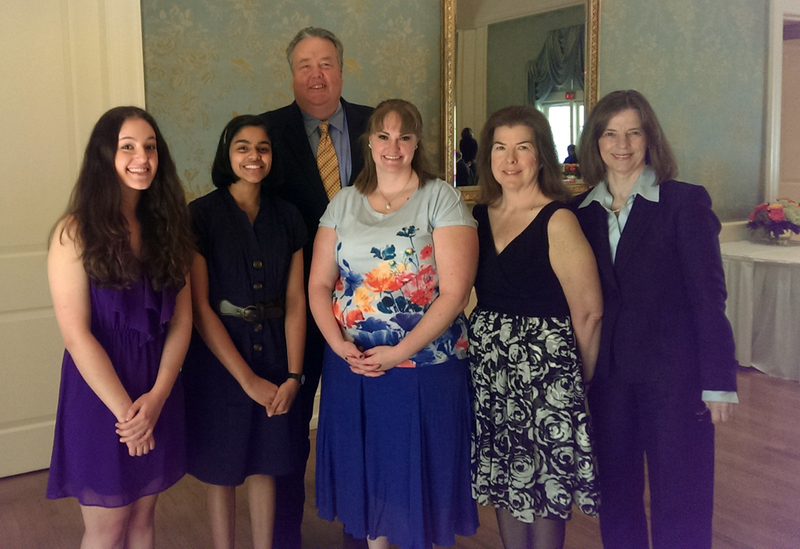 Last year’s Wilhelmina C. Robertson Excellence in Science or Mathematics Teaching Awards and scholarships were presented to Erin Meyers of Cypress Lakes High School and Nancy Brock of Oyster Creek Elementary School at a special luncheon held at The Junior League of Houston on October 21. The recipients and guests at the luncheon were treated to keynote speaker Dr. Bonnie J. Dunbar, astronaut, accomplished engineer, and science educator.